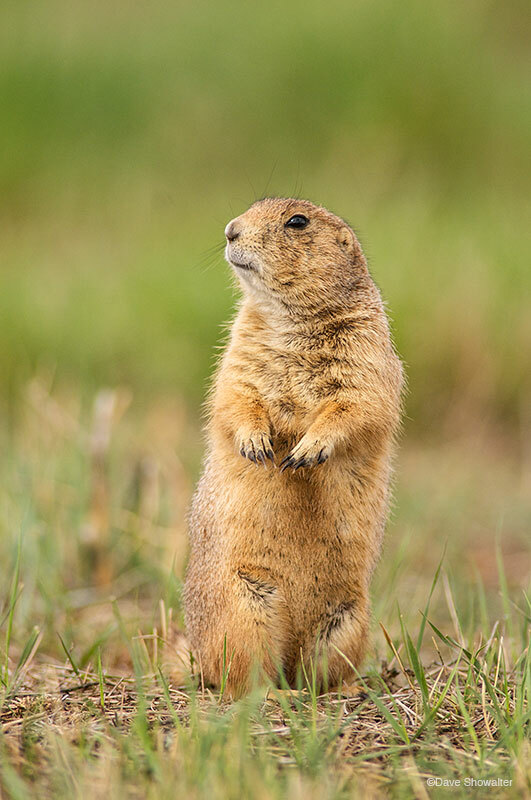 Black-tailed prairie dogs often stand to survey their surroundings, assess danger, and chatter with their community. Occupying about 2% of their historic range, black-tailed prairie dogs are a keystone species for some 160 other wildlife species that rely on prairie dogs for food and shelter in burrows. Widely misunderstood and considered vermin by many, these charismatic rodents are a keystone in the health of the prairie. Photo © copyright by Dave Showalter.